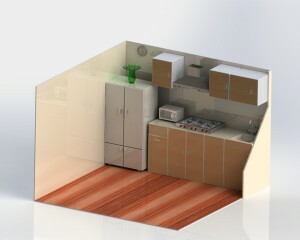 3D view of a kitchen is really awesome. It can give you a little glimpse of real kitchen. You can choose to modify a part or not. It is a better way to see a room that hasn’t been made.